In my last post I wrote about the Kmart and Sears loyalty program called shopyourway and how I use it to score free stuff. This time I decided to share my Kmart haul to give you step by step instruction. The picture on the left consists of two separate transactions from Kmart. I made this purchase last week. 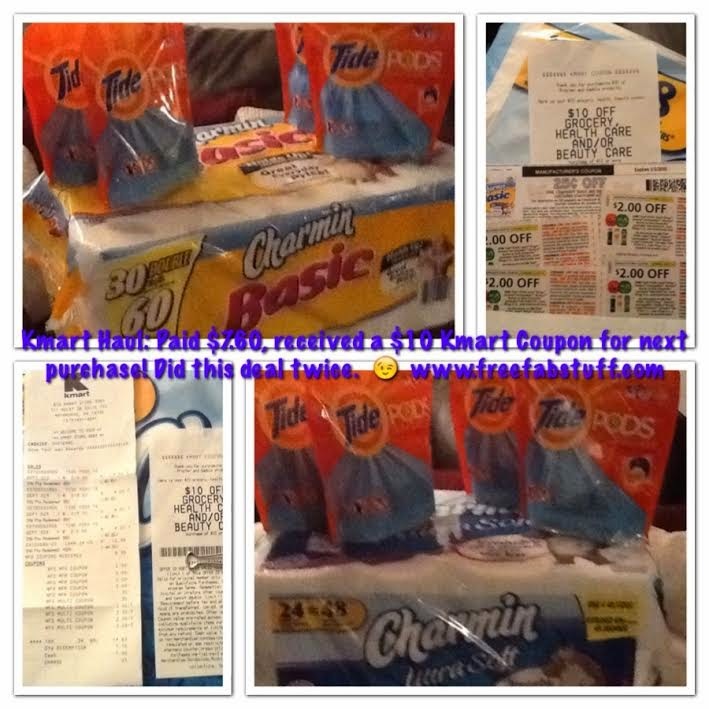 The reason why I started here is to explain where I got the Kmart coupons I used on this week's transactions. So last week, Kmart was doubling up to 5 coupons (per day) valued at $2.00 with a minimum purchase of $25. I bought a 4 bags of Tide Pods (16 ct) and a 30 pack of Charmin toilet paper. The total cost was $30.99. The reason I purchased these particular products was because P&G was offering customers a $10. 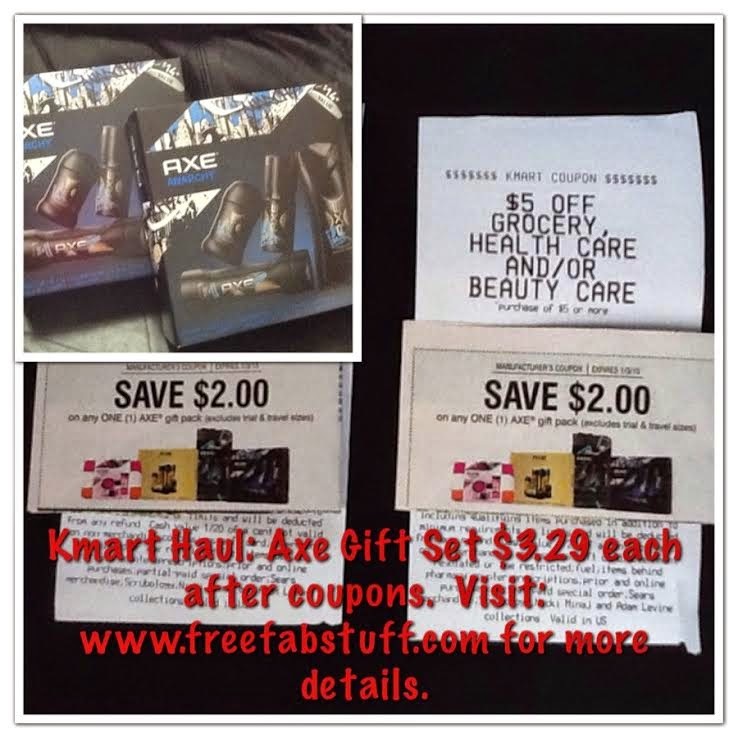 Kmart coupon when you made a $30 purchase in specific products. Remember, you had to spend at least $25 to have your coupons doubled. Paid $7.66 out of pocket (oop) and received a $10.00 Kmart coupon for my next purchase. 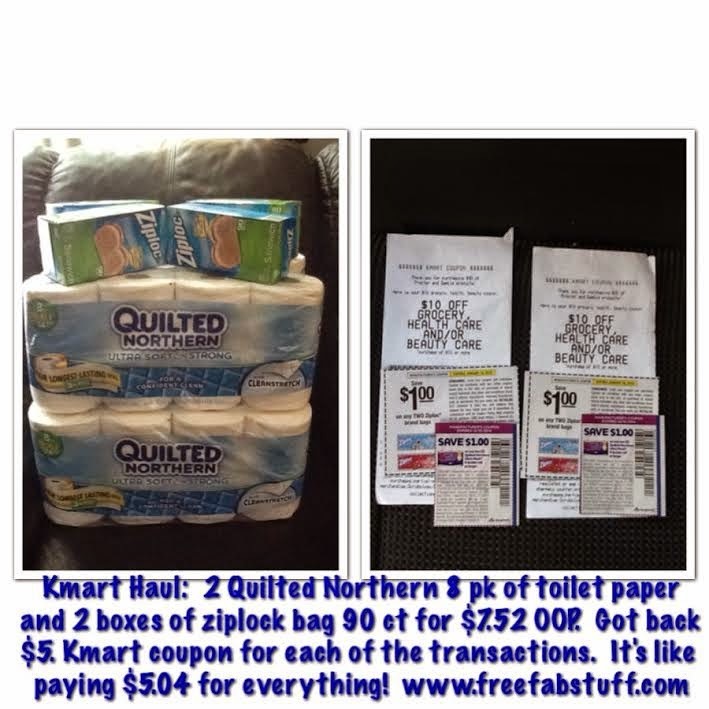 Today I went to Kmart and purchased 4 Quilted Northern 8 pks of toilet paper and 4 boxes of Ziploc bags 90 ct. When you purchase $15 worth of those products, you get a $5 coupon for your next purchase. In order to use both Kmart coupons, I had to break them up into two separate transactions. I paid $7.53 oop and received a $5.00 Kmart coupon for my next purchase. Each Axe gift set cost $9.99. I paid $3.29 for each, after all my coupons! I also picked up the free headphones I ordered yesterday! I'm very happy with my purchases. The two sales above are still going on, so go get your discounted products asap! Stay tuned. My Target and Rite Aid hauls will follow this post soon!